In June, 1959, the widowed seventy-seven year old Mrs. Nikolai Kulikovsky of 2130 Camilla Road in Cooksville, Ontario, [now part of Missisauga] received a royal invitation. Queen Elizabeth II and Prince Philip, Duke of Edinburgh would be hosting a luncheon on the royal yacht Britannia during their visit to Toronto as part of their Canadian tour and requested the presence of the Grand Duchess Olga Alexandrovna and her elder son, Tikhon Kulikovsky. For the last time, Olga’s early experiences as a Russian Grand Duchess, the sister of Emperor Nicholas II and the cousin of King George V, and her later life as a farmer’s wife in Canada came together as she met with her royal relatives. Grand Duchess Olga Alexandrovna was born on June 13, 1882 at the Peterhof Palace outside St. Petersburg, the youngest daughter of Emperor Alexander III and Empress Marie Feodorovna, formerly Princess Dagmar of Denmark. Olga and her elder siblings, the future Nicholas II, Georgy, Ksenia and Mikhail, spent much of their childhood at the country palace of Gatchina for their own security. Olga’s grandfather, Emperor Alexander II, had been assassinated by members of the People’s Will revolutionary organization in 1881 and Alexander III and Marie feared for the safety of their children during this turbulent period. Although the Gatchina Palace had more than 900 rooms, Olga enjoyed a relatively simple upbringing. 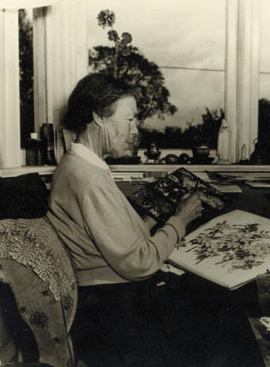 She reminisced to the Danish magazine BT in 1942, “When Spring was in the air, [my father] would see to it that we were given different tasks which would force us into the fresh air. We cleared the snow away and collected firewood. Together with him we would then make a lovely little bonfire where we roasted an apple or two which we later shared between us. And then there were the walks through the grounds and the deer park (25 Chapters of My Life: The Memoirs of Grand Duchess Olga Alexandrovna, p. 27).” Every summer, the Russian Imperial family would visit Denmark, where Olga could visit with her grandparents without the same concerns for her security that existed in Russia. 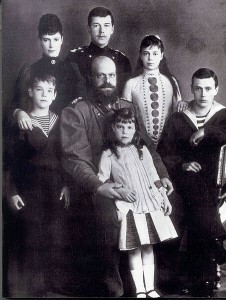 Alexander III’s death in 1894 was devastating for the twelve-year-old, Olga who was particularly close to her father. The Grand Duchess’s relationship with her mother was more difficult, as Marie expected her daughter to conform to the formal etiquette of the Imperial court as she grew older while Olga sought a simpler life. 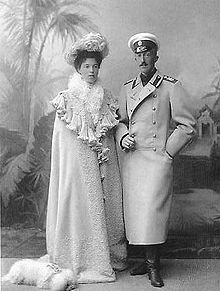 Olga’s desire to escape her mother’s direct control while still remaining in Russia undoubtedly influenced her decision to accept a proposal of marriage from her distant cousin, Prince Peter of Oldenburg in 1901. Senator Alexander Polovtsev, State Secretary under Alexander III and a close friend of the Imperial family was deeply skeptical of the marriage, writing in his diary, “In spite of being high-born and extremely well off . . .[the] prince is rather undistinguished in all respects and his appearance is far less than undistinguished. Though he is young he doesn’t have much hair on his head and comes across as a sickly person, lacking the ability of producing multiple descendants. . .Obviously this match was made for reasons other than making the couple happy which will most probably lead to disaster (Translated and reprinted in Patricia Phenix, Olga Romanov: Russia’s Last Grand Duchess, p. 51). 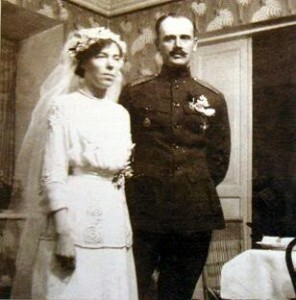 When the First World War broke out in 1914, Nikolai Kulikovsky’s regiment was called to the front and Olga followed him as a front line nurse, finally receiving an annulment and permission for a morganatic marriage in 1916. Olga and Nikolai were in Kiev when Nicholas II abdicated in 1917 and they fled to the Crimea with the Dowager Empress Marie soon afterward, where their son Tikhon was born in November, 1917. Since she was married to a commoner, Olga was not arrested with the rest of her family after the Bolshevik Revolution of November, 1917 and was able to flee Russia over the Caucasus Mountains, where her younger son, Guri was born in 1919. Olga, Nikolai and their children settled in Denmark after leaving Russia . They initially lived with the Dowager Empress Marie, who had been rescued from the Crimea on a battleship sent by King George V, then moved to a farm owned by Danish millionaire Gorm Rasmussen, who employed Nikolai to look after his horses. Olga increased their modest income by selling her watercolours. These peaceful years prior to the Second World War were interrupted only by Olga’s upsetting visit to “Anna Anderson” in Berlin. Anderson claimed to be Olga’s niece, Anastasia, who had been murdered with her parents and siblings by Bolsheviks in 1918. Olga did not recognize and resemblance between the claimant and Anastasia but would continue to be asked her opinion on the “Anastasia case” until her death in 1960. The proximity of Soviet troops to Denmark after the Second World necessitated another emigration. Nikolai, Olga, their sons, daughters-in-law and grandchildren left Denmark for Canada via England in 1948, crossing the Atlantic aboard The Empress of Canada. Olga recalled that on the long train journey from Halifax to Toronto, “The immense spaces I saw deeply impressed. I felt at home. Everything spoke to me of the vastness I had known in Russia (Vorres, The Last Grand Duchess: Her Imperial Highness Grand Duchess Olga Alexandrovna, 1 June 1882-24 November 1960, p. 196). Olga and Nikolai settled on a two hundred acre farm in Campbellville, Halton County while their sons and their families settled in Toronto. Olga cared for the poultry yard while Nikolai looked after their cattle and pigs. Olga enjoyed the farm life, telling Vorres, “It was a joy to move from Toronto, and I worked like a slave to turn the house into a real home. All our belongings turned up eventually, and there were dear mementos of the past in every one of then rooms. The place was a paradise for flowers . . . (Vorres, The Last Grand Duchess: Her Imperial Highness Grand Duchess Olga Alexandrovna, 1 June 1882-24 November 1960, p. 198). As Nikolai and Olga grew older, they had difficulty with the upkeep of their Campbellville farm. In 1952, they sold the farm and livestock and moved to Cooksville. Nikolai died there in 1958. The five room house on Camilla road was the setting for visits from Olga’s British royal relatives throughout the 1950s. Princess Marina, Duchess of Kent visited Olga’s home in Cooksville between her royal engagements on her Canadian tour in 1954 and Louis and Edwina Mountbatten visited in 1959. Katherine Keiler-Mackay, wife of the Lieutenant Governor of Ontario, Lieutenant Colonel John Keiler-MacKay, had different concerns than Olga’s wardrobe. She told Patricia Phenix that prior to the luncheon, “[Olga] looked nervous . . .We were all afraid the Queen might overlook her and she might be hurt (Phenix, Olga Romanov: Russia’s Last Grand Duchess, p. 239). Keiler-Mackay need not have worried. When the Queen entered the banquet room, she immediately approached Olga, put her arm around her the shoulders of her grandfather’s cousin, and guided her to the head table. The luncheon on the Britannia was Olga’s last royal visit. Russia’s last surviving Grand Duchess died in Toronto on November 24, 1960 at the age of seventy-eight. Her long and eventful life had begun at an Imperial Russian palace and ended in Canada, a country she grew to love for its friendly people and vast landscapes reminiscent of her native Russia. It was interesting and heart touching to read about Grand Duchess Olga Alexandrovna . The tragic events of the Imperial family influenced many lives, including my own. Lately I read volumes about this subject, and it hurts to know that many of the white emigre blame members of the Jewish nation for being the masters of these events. I am an Israeli, and accustomed to all sorts of demonization s attributed to us. This is our fate! 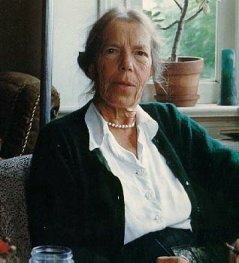 I wish I had known while younger what I know now, and would make an effort to ask H.I.H Grand Duchess Olga Alexandrovna, what is her opinion. I think being such a person as I have learnt to know through books, she would probably agree that these atrocities and horrid events have nothing to do with the Jews of Russia and elsewhere, and in fact we became victims of Bolshevism no less than the Romanovs, and also victims of the white emigre circles who made such a profound impact and influence on the Nazi ideology. Sorry Samuel, my reply to you just disappeared and there is not time to rewrite it right now–maybe it will reappear and I will finish it. Funny how these computers often “think” for themselves. Yes, her position might have provided useful insight into the subject and helped steer the conversation to much more constructive topics, such as the fact that the Bolshevics, Soviets, communists and their cadre were never, nor have they ever been brought to justice for their rein of horrific criminality, inflicted upon former Imperials and millions of ordinary folk, both in and out of Russia and wherever on earth, the stain of ‘communism’ has existed. Well said, James B.! 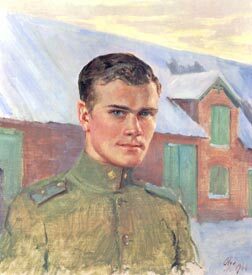 The communists’ glorified ‘hero’ Lenin was himself guilty of more than one massacre, including the murders of all those members of the Imperial grand family that the bolsheviks managed to arrest. Olga, and the rest of her family including the Czar and his kids seemed like very nice loving people, but I cannot lose sight of the fact that there is another side of this story and it wasn’t as cut and dry as some would have it portrayed. While Czar Nicholas seemed to be a very loving father and husband, he was responsible for an extreme policy of indifference towards his starving people. His personality not being conducive to being a ruler is not his fault, but decisions to try and keep his autocratic rule during the hardest of times, were. For generations many Russians lived like animals looking up to the wealthy,who made no excuse for their privilege. Eventually some sort of uprising was bound to happen and if the powers that be did compromise, a political explosion will take place. The violent end to Olga’s family , to me , was inexcusable and another method of expulsion should have been chosen. Following the blogs from Royal Forums, I receive everyday – the title: Final Home of Russian Grand Duchess Up For Sale, intrigued me and eventually I trailed to this article. OMG, this is has deeply saddened me and is very heart touching. The present no doubtedly suffered the tough paths and people have not learned anything from history. The life of the Grand Duchess Olga Alexandrovna is so inspiring, we should learn to live happy and simple. RIP, Grand Duchess, I’m aware I’m quite late, I was not born, when you left this abode. Her grandson died in Northern Territory about 2 months ago. No one knew who he was. He moved from Denmark many years ago and moved to Australia. He has been buried in the last week in Darwin. 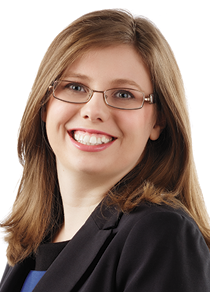 Are you the Jennifer Victoria Byrne, journalist and television presenter for ABC TV First Tuesday Book Club? peterhof is PART OF st. Petersburg, not outside. I look forward to the time in the near future when such horrific and sad stories will be no longer, when Jehovah God’s Kingdom under Christ will rule from heaven, the earth will be transformed into a paradise, and all of these dear people such as Olga, and billions of others who have suffered all manner of injustice and heartache, will return in the resurrection to live forever in peace, happiness, and perfect health (Rev. 21:3,4). My father’s family left Russia and settled in East Anglia, England. Then, his relative Sir James went to a British-owned island in the Caribbean. My father followed and here he met and married my mother. I was born when England declared war on Germany. Many years later, I married a Scottish man from the Montrose lineage and lived in Canada. I heard so many stories of our ancestors on all sides of my family–some I laughed at only to see the stories my grandparents told in history books as I studied at universities. Also, I have been asked so many questions because of my names and looks as I traveled all over the world in peacetime when no one wanted to kill me. I relate to Olga Romanov’s stories of a simple ….safe….life. I remember well, my father’s advice that it is best for people to know your background when you are safely DEAD. I have a photo of Olga Alexandrovna with her two sons in Denmark. The photo is dated on the back 1936. I am led to understand that she might have met my father Eugene Emeljanow in Germany and in particular Berlin when he was touring as a singer and was also a member of Alexandr Juzhny’s theatre company during the mid-1930s. I was also informed that he had requested the Grand Duchess to act as a godparent for his son at some time. That’s really all I know. I’m researching the family of Grand Duchess Olga & wonder if you would be so kind as to email the 1936 image to me, that of Olga & her two sons in Denmark. 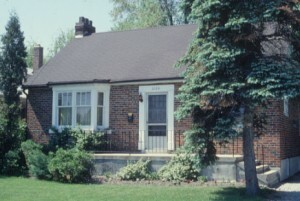 I live about 1 km from the final home of Duchess Olga in Cooksville (now Mississauga) in Ontario, Canada. About 40 years ago, in Victoria, BC, I met a granddaughter of the Grand Duchess. Her name was Alexandra. It would be interesting to know more about these descendants.